To find out what’s happening with the Tauranga flock, check out the upcoming events page, here: https://frocksonbikes.wordpress.com/category/tauranga/ (which we try to update as often as possible). 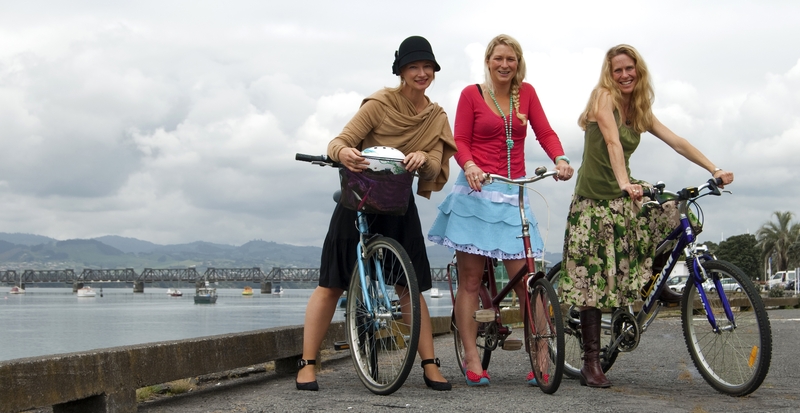 To be kept in the loop on all their events (not everything makes it to the website), send Rosie, Charlotte and Holly an email at frocksonbikes.tauranga@gmail.com and ask to subscribe to their mail-outs. WE LOVE FROCKTOBER! It is Sport Bay of Plenty Outdoors month too! Here are two opportunities to get on your bike and ride. October 24th hop off your bike and walk for the cure! Support this year’s 10th Anniversary Breast Cancer Walk and local cyclists who help put on this successful event Iris Thomas and Vanessa Quinn. are you still an active group? Hi Sue, the Tauranga flock sure is still active. They just celebrated their 2nd anniversary! To be kept in the loop on all their events (not everything makes it to the website), send them an email at frocksonbikes.tauranga@gmail.com and ask to subscribe to their mail-outs. And keep an eye on the upcoming events page, here: https://frocksonbikes.wordpress.com/category/tauranga/ which we try to update as often as possible. Frock on!